Carlisle United came close to causing an upset in the second round of the EFL cup, as his team lost to Derby County only on penalties. The penalty shootout was lengthy by any standards and the Championship outfit only edged it with a 14-13 win. The shootout was also highly controversial since the referee allowed Derby County’s Bradley Johnson to take a penalty despite the player having completed his role in the game. Darren Bent scored the opening goal for Derby in the second half and it looked like they were heading for a comfortable victory before Mike Jones came up with a very late equaliser for the away team. This took the game into extra time where the two teams struggled to make much of a difference. As penalty shootouts were the norm to decide games that were still remains even after 120 minutes of action, fans prepared for a potential quick shootout as is the norm in most circumstances. However, fans were in for a shock when both teams carried on without facing any penalties. When the full complement of 11 players had been used, the game was still undecided. 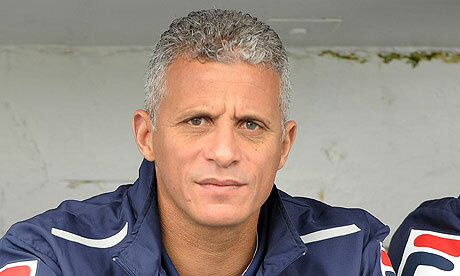 Derby, though, did not elect to use Johnson for any of the penalties and Keith Curle claimed that he was disappointed with the decision of the referee to allow this to happen.